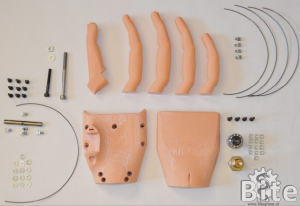 In developing countries, the accessibility to prosthetic devices is low due to the limited healthcare conditions, a general lack of technical knowledge and poorly equipped workshops. 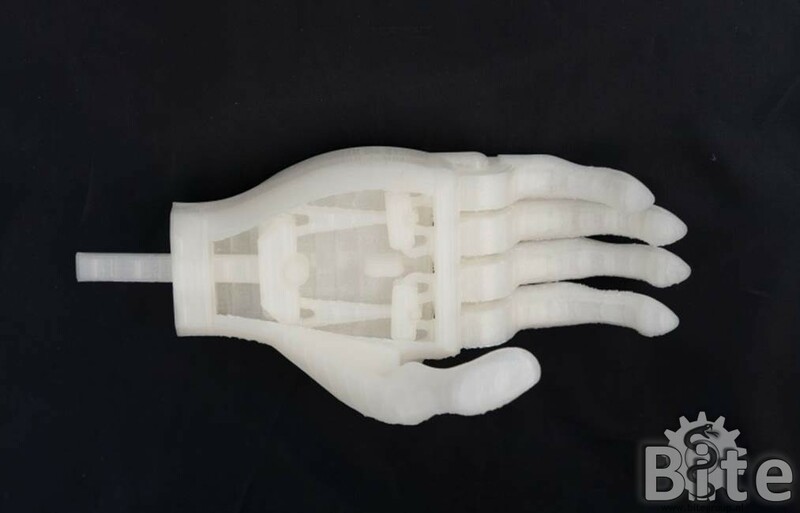 The introduction of 3D printing technologies has permitted new cheap and personalized hand prosthetic designs by bypassing many of the current manufacturing limitations of traditional prostheses. 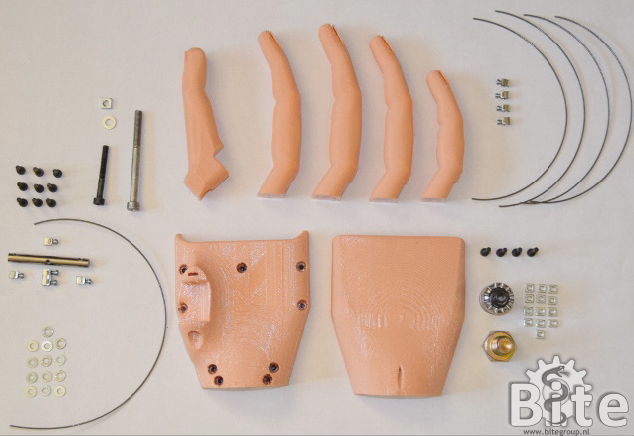 Although innovative and accepted in different settings around the world, these active 3D printed prostheses still require extra parts and assembly steps, thus reducing the overall accessibility. 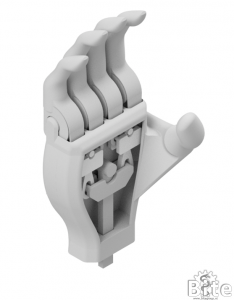 We have developed the first functional non-assembly prosthetic hand fabricated with the material extrusion technology; the most accessible 3D printing technique. 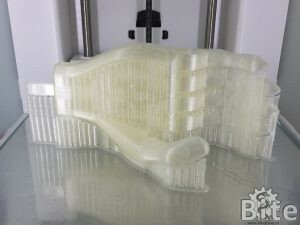 The process is reduced to a single printing job and an extra step of support material removal. No extra parts, materials or complex assembly steps are required. During the design process, we have also adopted ten design guidelines that led to a successful working mechanism, we encourage future designers with 3D printing to follow our non-assembly approach. Cuellar J.S.,Smit G., Zadpoor A.A., Breedveld P. (2018). 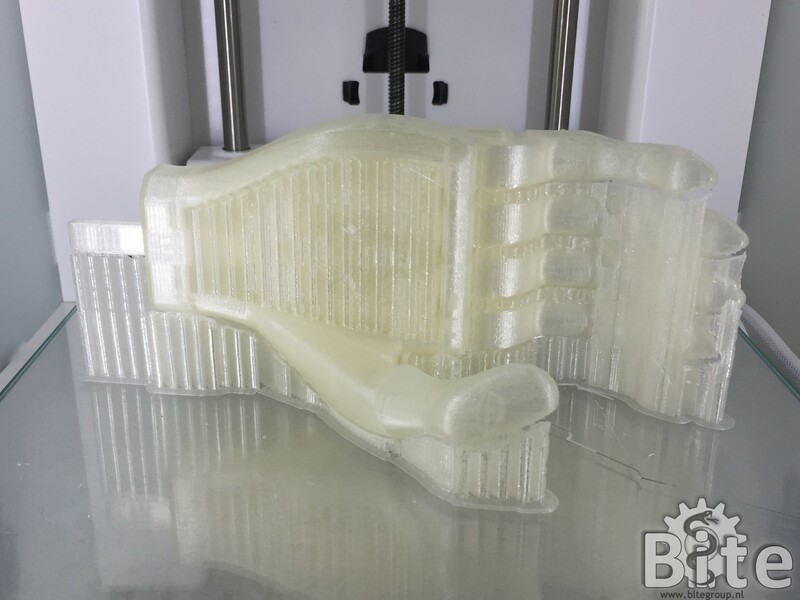 Ten guidelines for the design of non-assembly mechanisms: The case of 3D-printed prosthetic hands. Proc Inst Mech Eng H, 954411918794734. 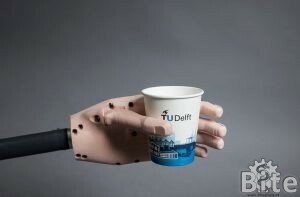 Replacement of a missing hand by an artificial alternative remains one of the biggest challenges in rehabilitation. Although many different terminal devices are available, around 27% of the amputees does not actively use their device and 20% totally refrains from wearing it. There are various reasons for prosthesis abandonment, e.g. wearing discomfort (too heavy, too hot), too little added functionality, difficult or tiring to use, lack of sensory feedback. User studies identified multiple aspects of the prostheses that need improvement, in order to meet the user demands. Mass reduction was identified as the most important design priority. The goal of this project is to design and test a new lightweight and efficient body-powered hand prosthesis with articulating fingers. A low mass will increase wearing comfort. Mechanical efficiency will decrease the required actuation force, which will lead to an increased control comfort. 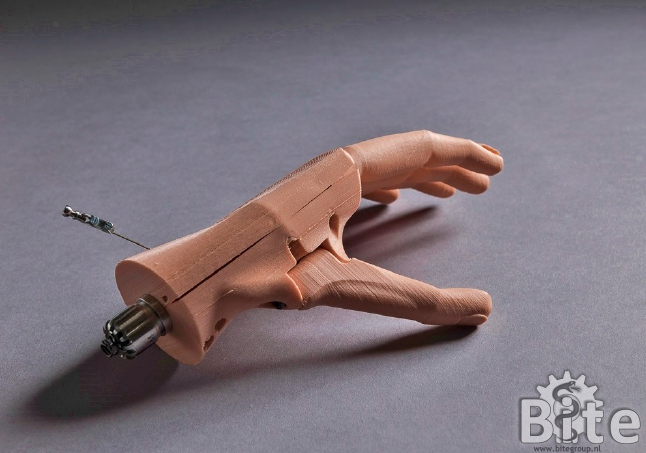 It will also enable the hand to produce a higher pinch force, which will increase the functionality of the hand. 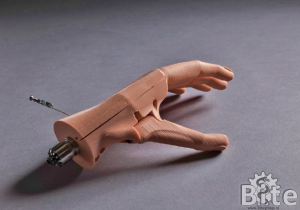 The articulating fingers of the hand will enable both power and pinch grip. This enables the grasping and holding of a broad range of different objects and enhances natural cosmesis. The Delft Cylinder Hand appeared in the corporate movie of the Delft University. Click the video below. least comparably to contemporary hands, at a cost (mass and actuation effort) which is much lower than that of all currently available hands. 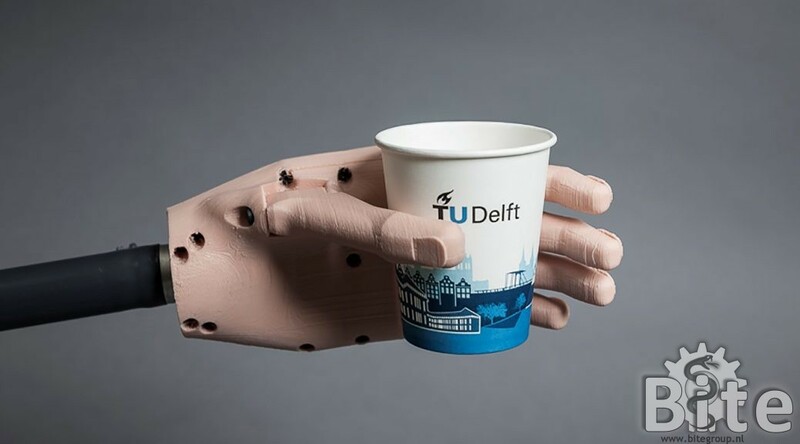 The Delft Cylinder Hand was developed to enable natural grasping of small and large objects. The hand can perform fine pinch grasp, as well as cylindrical power grasp, required to pick up a suitcase. 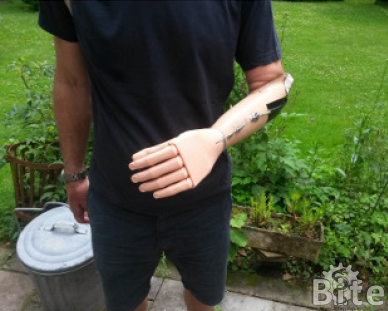 upper limb prosthetics, which is a low hand mass. The hand can pinch harder (>30 N) at a lower user effort.